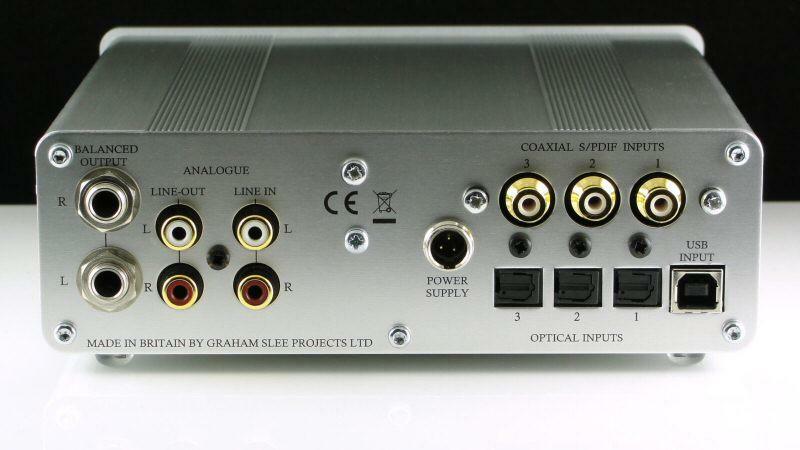 Many years ago – more than I care to remember (OK I checked – 14 years ago...) I did what was then the first ever review of a new phono amp from a new company – the Graham Slee GramAmp 1 & 2. I thought it a brilliant debut, and over the years I've reviewed a couple of other phono stages from Graham and always been impressed. But now we come to something very different, because here is a full amplification system and DAC preamp from GSP. 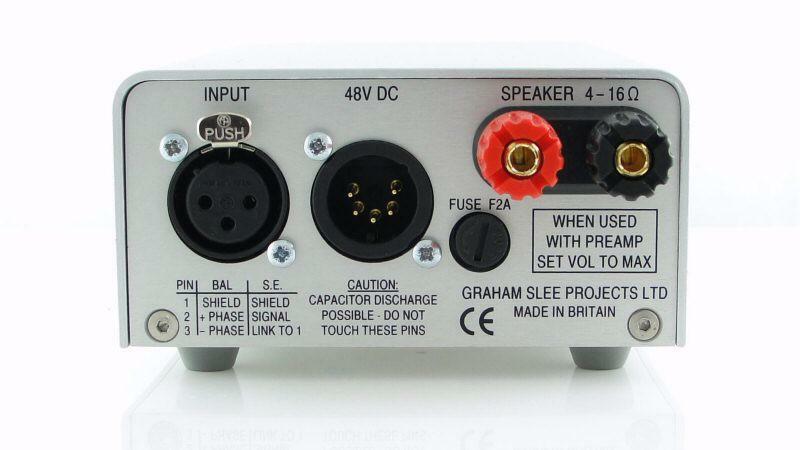 This departure isn't quite as large as it might seem because Graham has been designing amps and other electronics for broadcast audio and hi-fi firms for decades – this work pre-dating GSP. As a reviewer I'm not really the first you'd come to for a DAC review – I'm essentially a vinyl man and I can be a little dismissive of digital products, but I was drawn to the Majestic DAC/pre and Proprius (*) power amps out of curiosity as much as anything else. GSP's products are never designed to be ostentatious, or something to show off to friends. All their products share similar Aluminium extruded cases with thick alloy faceplates. 10 years ago this would have been classy, but now there are so many cheap Chinese amps that look very similar that they are beginning to look ordinary. What you don't see is that this casework is made in the UK (Graham sources UK components as much as possible as a point of principle) and feels rather different i.e. a lot more solid, than a lot that comes from the Far East. 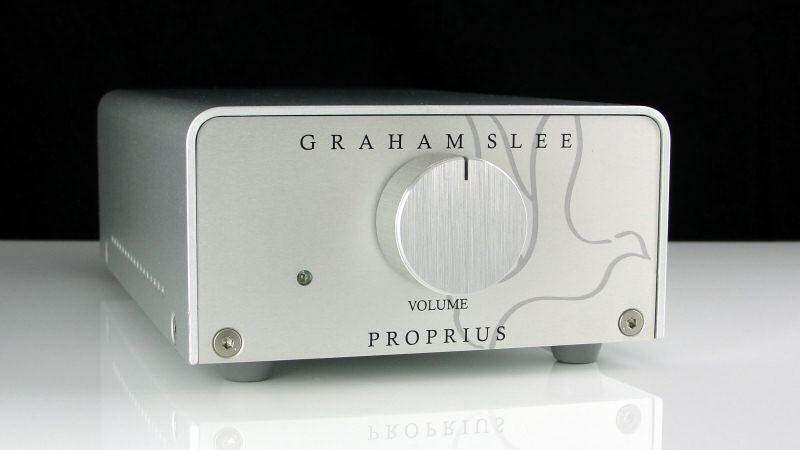 First the Proprius power amps – each a monoblock with a large off-board power-supply. These are unusual is two ways – first they each sport a volume pot so can be used without a pre-amp, but more interestingly they are a fully balanced design (using XLR's) that are meant to be placed as close to the speaker as possible – in fact brackets are included to actually attach them to your speakers. This use of long, balanced interconnects and short speaker cable has been the pro standard for years and many claim advantages with this set-up. So their simple appearance isn't a handicap when they are designed to be tucked away with your speaker. Of course the outputs can be configured as standard 'unbalanced' and conventional short interconnects/long speaker cables used. The amps aren't designed to be powerhouses, just producing 25 watts into 8 ohms and 45 into 4 ohms which suggests decent current delivery. This is delivered with a pretty conventional A/B amp design, but carefully optomised. It's easy to forget that many, many fine amps have used this sort of circuit over the years. Here we're presented with a properly built, conventional transistor amp that owes little to fashion, there's a hint of the 'pro' world about this and none the worse for that. The natural partner to the Proprius pair is the Majestic DAC. 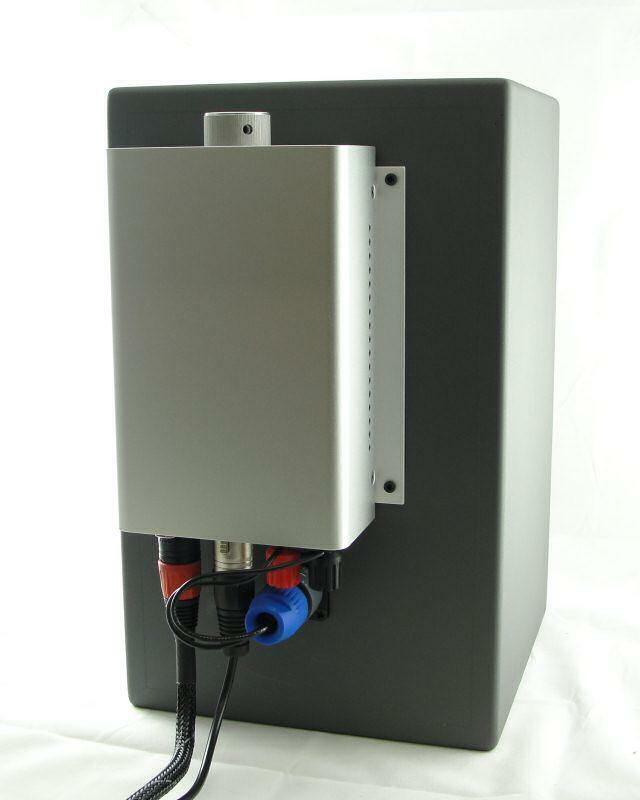 This has the largest of the GSP extruded cases and it too sports an off-board power-supply. The connection with the Proprius is made with ¼ inch stereo jacks in balanced configuration, partly for space reasons – the means you have to use a jack to XLR cable. Otherwise you can use the alternative unbalanced phono sockets. As standard these are fixed output line-out's but can be configured to be post-volume. There are two alloy knobs for input selection and volume and some lovely tactile toggle switches for USB or analogue input and a digital mute. All other inputs are digital and there are effectively 7 on offer – three optical 96k, three 'phono' S/PDIF 192k inputs and the aforementioned USB. The amp detects sampling rate etc so it's just a question of plugging in all your digital components and using the selector to choose between them. What all this means is you're unlikely to run out of inputs, CD player + music server + laptop and space to spare, and all using the high-quality DAC built into the amp. All of this is good stuff and all controls feel smooth and well engineered. The entirety being small enough for a desk-top system connected to your computer – however the idea of this as being destined only as some kind of upmarket pre to plug into your PC is a travesty. Lastly, the Proprius power amp is available as a 'single' for those addicted to mono or multi-amping, or indeed for various surround-sound set-ups and here their variable output may be especially useful when matching different speaker sensitivities. Sound quality and 'in use'. Well firstly the 'in use' bit because it's easy. Plug stuff in and it works. The supplied balanced cables worked just fine (at extra cost) and the thing never missed a 'beat' for the entire test. As I've said many times in the past I'm no digital guru. I tend to use digital sources mostly for convenience – in our conservatory because there's no room for a turntable (and vinyl+hot conservatory is a no-no) – and when I want something quick and easy for doing the washing-up. In the evening it's a case of 'if I have a good book and want to get up every 50 minutes instead of every 20'. But on the last trip to the UK I managed to buy 20 CD's in various charity shops for about £20 and so it feels a little like the (premature) end-of-vinyl days of the 90's. Now my little CD collection suddenly seems to have blossomed into 500 discs and how they sound has become more important. A small system that usually runs the Kingrex pre into the Lehman Stamp power amp – a fearsomely good compact combination. Speakers are the gorgeous little John Blue JB3's (http://www.tnt-audio.com/casse/jb3_e.html). In combination this set can produce sound quality (if not scale) of genuine hi-fidelity. The CD front end is an aging Marantz CD42 which has been 'clocked' and internally damped. It's surprisingly good and a street ahead of most sub £500 players. So as a first step out came the Kingrex/Stamp combo and in went the GSP amps with the CD 42 into the line input. To be honest I didn't expect a big change in quality – the Kingrex/Stamp is a pretty difficult combo to beat and after all the set-up is 'convenience' rather that positioned for hi-fidelity – after all it's something tucked into the corner of a conservatory. But I was pleasantly surprised – we're not talking anything eye-opening - to match the previous set-up would be very positive, but it proved to be even better. The sound became a little leaner, bass tighter and within the limits of the system/placing the scale of the thing opened out. Then I tried running the CD42 direct into the S/PDIF 192k input. Holy crap what a difference... This was really a 'I can't believe this' moment. The thing sounded like the speakers had been taken out from their hiding place 1m apart on a shelf and set-up 3 m apart on proper stands – I can think of no better description – a system that really serves as background only became analytical and musical in one moment. As sometimes happens the aims and format of a review changes because of the obvious capabilities of a new component and that means that the pairing had to go into one of the main review systems. Naturally enough I wired in the GSP Era phono stage and fronted it with the Opera LP 5.0 turntable and arm with a Dynavector Karat a very fine vinyl set-up. Which was just as well because I'd been using my beloved and modified Micromega Solo as CD player along with the Oppo - both using their on-board DACs. But then I swapped to using the S/PDIF output on both and once again I was simply taken aback by the improvement in sound. DACs make a difference it's true, but I can honestly say that I've never heard one that offers such a shift, and a positive one to any digital source I tried. With both (excellent) sources the sound opened up, the space between notes expanded and a level of detail and ambience - natural, never pushy – flooded out. Doing back-to-back tests with the Audio-Note Zero DAC was very interesting because there was a certain similarity. Both were open and energetic, the Zero majoring on the latter, but the GSP had it beat on sound depth and spacial awareness generally. Bass was similarly handled with the GSP being a little lighter and more defined. The Zero did more wall-of-sound where appropriate, the GSP clearly superior with something like 'Take Five' in both 'space' and the definition of leading edges. 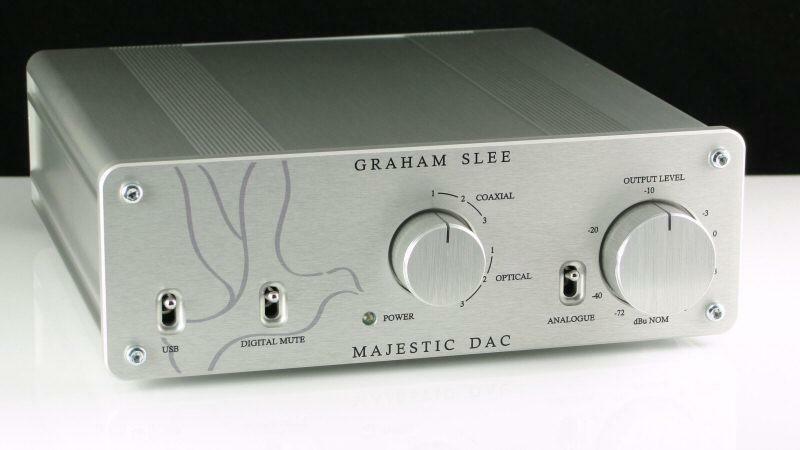 The Zero is just a simple DAC – the Majestic a full function multi-source preamp, that they went toe to toe says an awful lot and I have to say that as a DAC alone the Majestic took the contest by a head. My experience over the years of GSP products is that I have always been surprised by the quality of music emanating from unprepossessing little boxes – the Majestic and Proprius continue that tradition. They are not cheap (though they offer good value) and they are not going to win any design contests or impress your friends – unless of course they sit down and listen. (**) GSPaudio offer a 28-day – money-back guarantee if you are not happy.